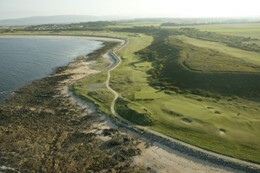 The generosity of Royal Dornoch members has provided a £20,000 boost to Scotland’s Charity Air Ambulance. Club captains Elizabeth Henderson and Alan Ramsey both nominated SCAA as the charity they wished to support during their time in office. 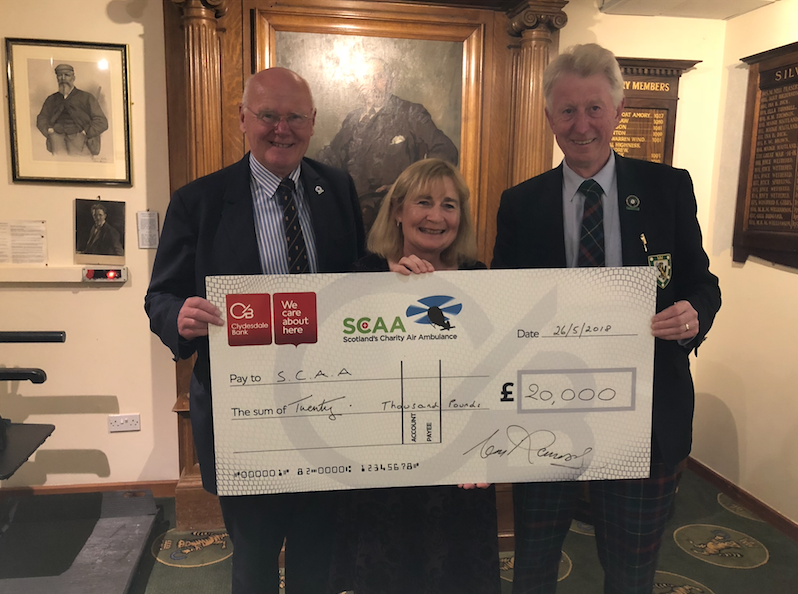 An auction and raffle at the Captains’ Invitational Member and Guest weekend were the latest fundraising events to be held and the money raised so far for the charity was presented afterwards to Mike Beale of the SCAA. Our captains are in office until the end of the season and further funds will be raised during their terms.